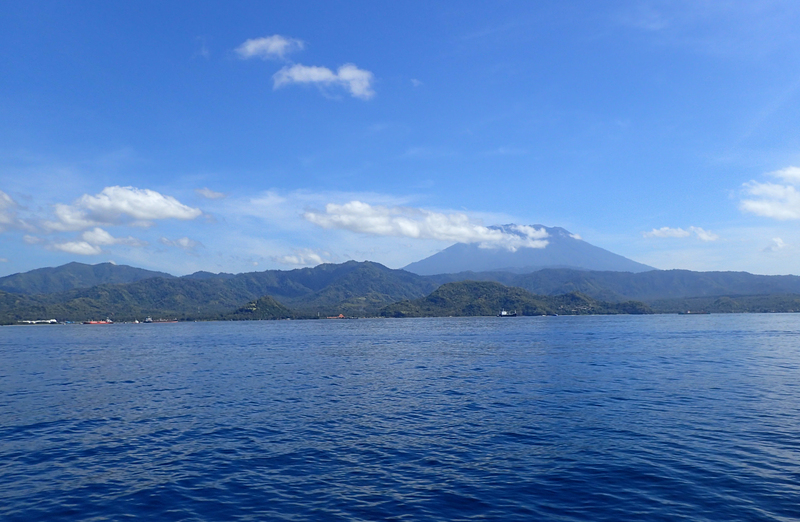 It’s been a little more than three weeks since I arrived in Bali, one of the 17,000+ islands of Indonesia. Yet it wasn’t until a few days ago that I threw myself into the ocean. Even then, it wasn’t on Bali but on the neighboring island of Gili Trawangan. In Bali I’ve settled inland for a little while, thinking it would do me good to not be distracted by diving while I focus on figuring out how to bring more money into my life. More on that in an upcoming post. 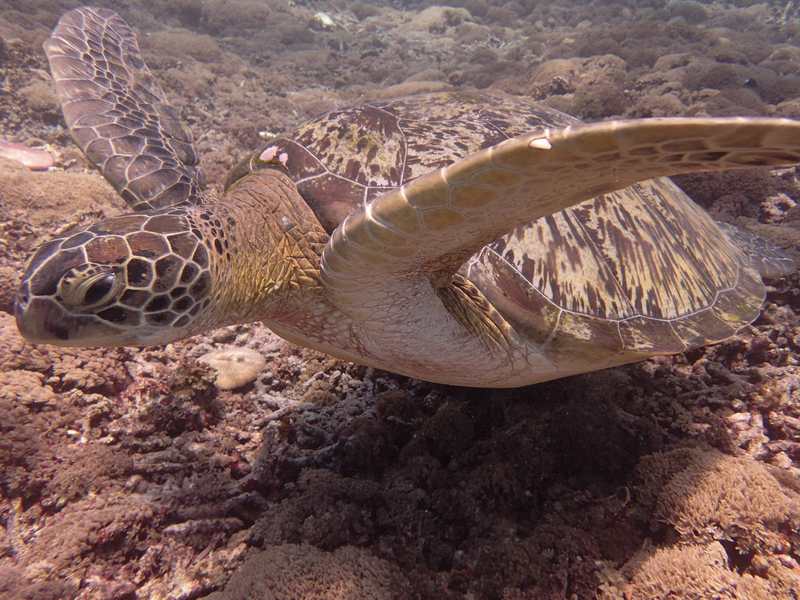 This one’s about Gili T and one of my favorite subjects: diving. I’m currently staying in Ubud – the inland area made famous by Eat Pray Love – a part of Bali well-known for its population of expats, digital nomads, yoga-enthusiasts, artists, hippies, and creatives of all sorts. 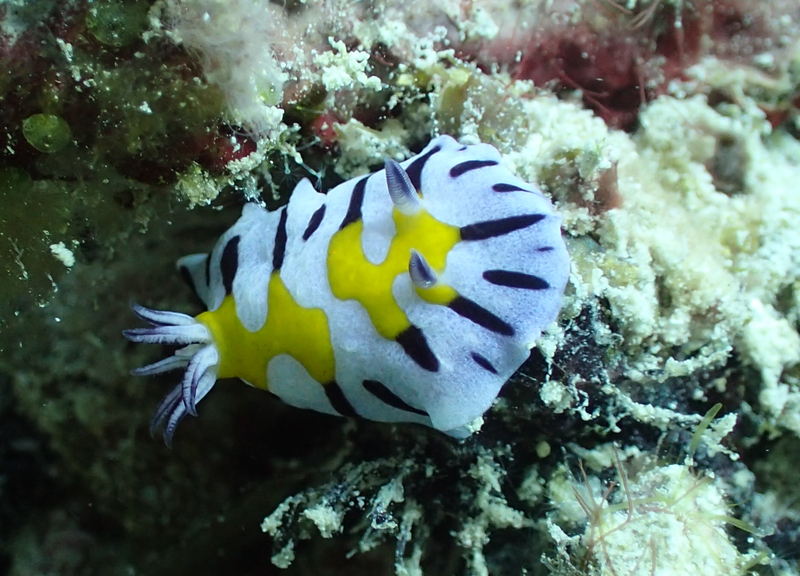 When someone invited me to join a group heading to one of the Gili islands for a short trip, I jumped at the chance. Each of us is based in Bali for a few months working on something. One is here to travel and learn from the many entrepreneurs in town before starting a new job later this year back home. Others are location independent, able to do their work and run their careers and businesses from anywhere with decent internet access. Each of us spends hours in front of a computer daily and many of us have done little site seeing. I’ve done almost none. 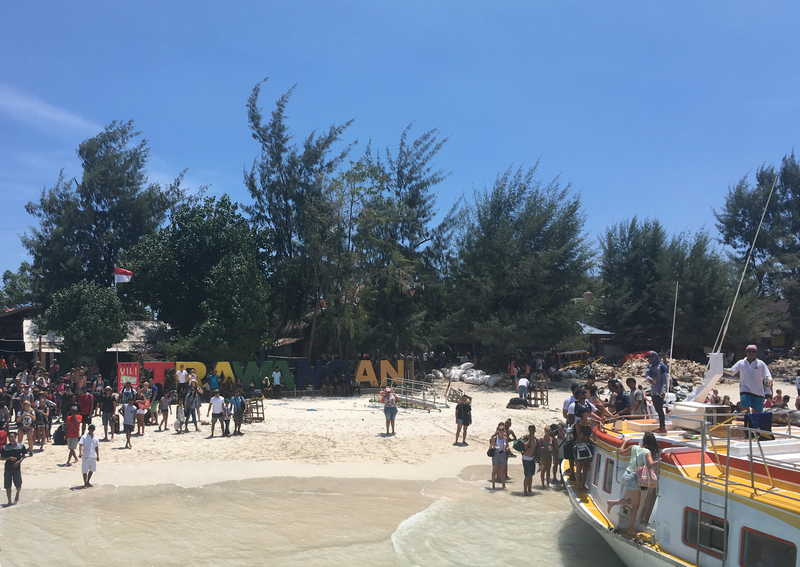 A two-night trip to Gili Trawangan would give us all a chance to disconnect, see another bit of Indonesia, and get in some time at the beach. In other words, a holiday from our lives that sometimes feel like a never-ending vacation. 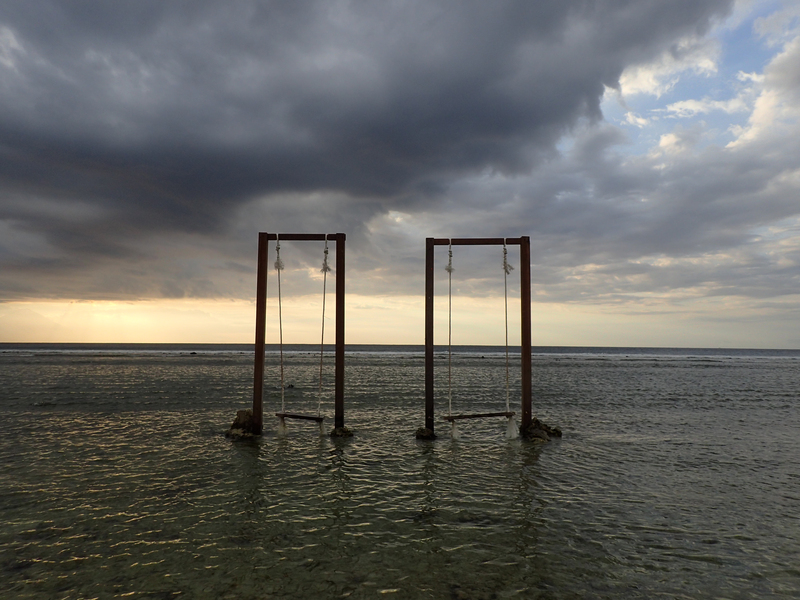 Gili Trawangan is the largest of the three Gili islands, located just off the coast of Lombok, east of Bali. 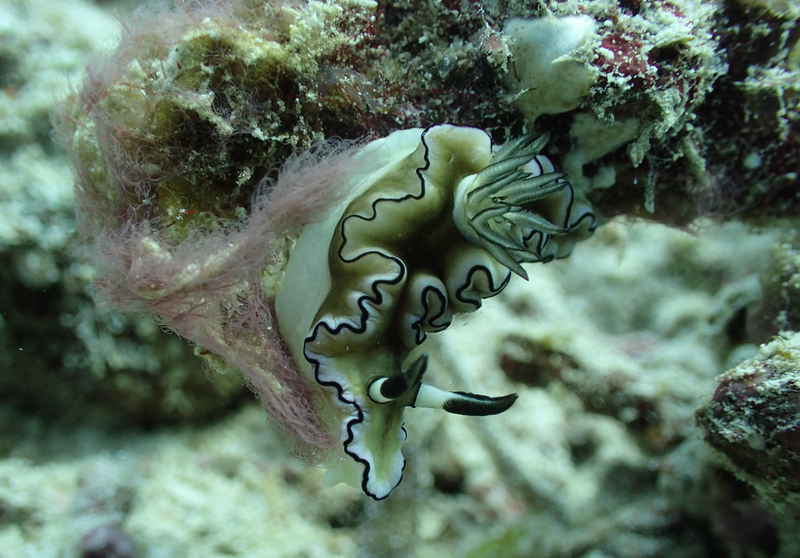 It’s home to a ridiculous number of dive shops and has long been on my travel bucket list. 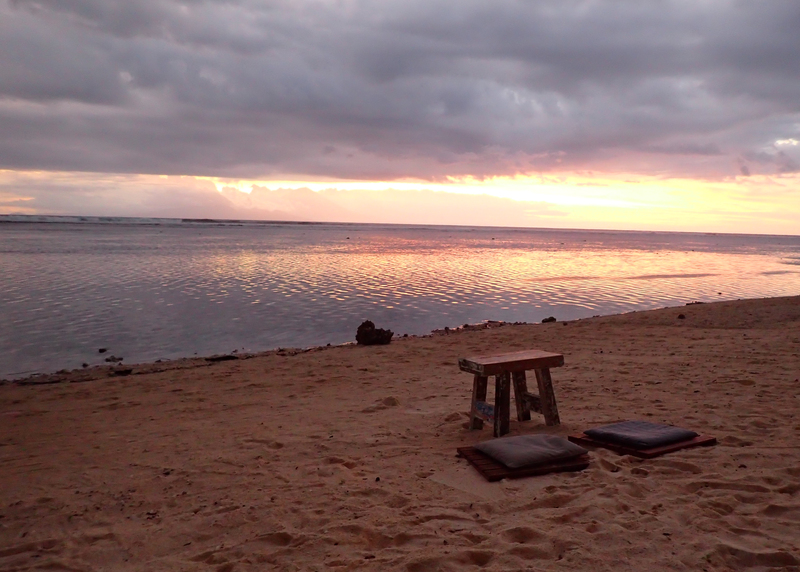 Gili Air remains on my list but when I go, it will be for more than two nights. The diving itself was pleasant but not spectacular. 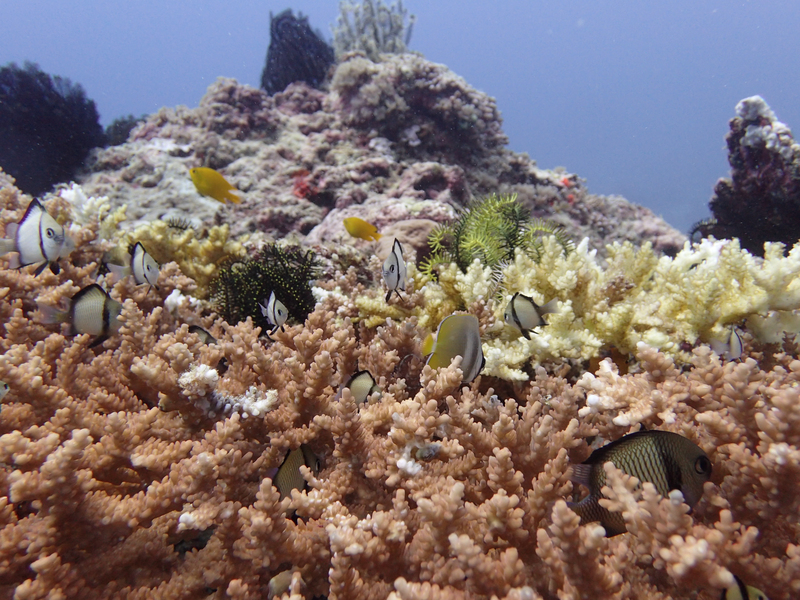 Much of the coral is dead so the underwater seascape lacks the vibrant colors of a healthy reef. 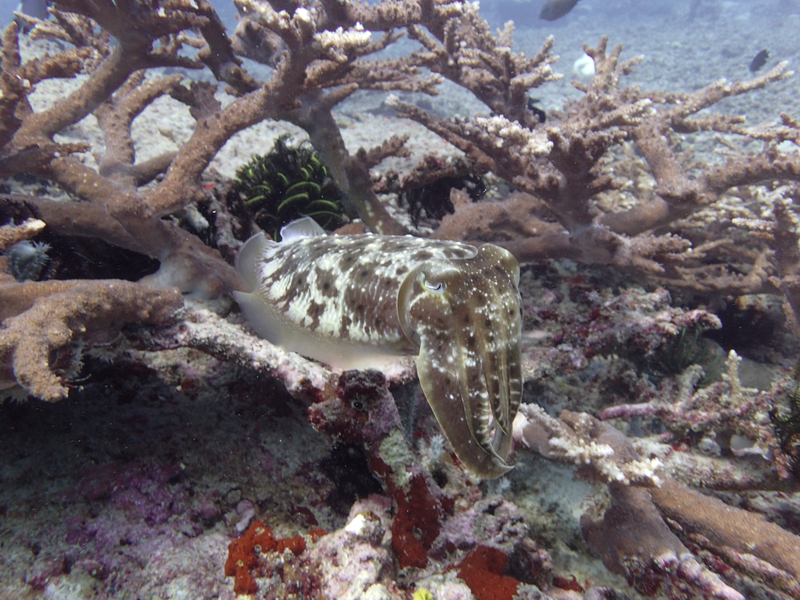 But there’s plenty of marine life including sharks, rays, scorpion fish, pipefish, manta rays at certain times of year, a consistently high number of turtles and myriad tropical fish. As one expects 8 degrees south of the equator, the water is warm. For the first time since I left Utila 11 months ago, I dove without needing any form of warmth-providing exposure protection. No wetsuit or dry suit, just a pair of board shorts and a rash guard. That alone made the dives great. I only had time for 2 dives but when I surfaced from the second, I knew something in me had shifted. I’ve faced some challenges in recent months and there’s been far too little laughter and not enough smiling. I’ve been hesitant and nervous, completely lacking in self-esteem. Less than two hours underwater drifting in a gentle current, watching marine life, listening only to my breathing, being fully present in the ocean healed me more than so much of the work I’ve done on land. I still have much to do in getting back to being my best self. But those dives reset me to a state of mind I haven’t experienced in a long time: one of openness and curiosity, eagerness to engage, rooted in a sense of calm and confidence. When I hopped on a rickety bicycle that evening to meet friends on the beach for sunset cocktails, I had a smile that wouldn’t stop. I rode through the crowded main street of Gili T, weaving between pedestrians, horse-drawn carts, and other bicyclists, bumping along the poorly maintained road, not the least bit bothered by obstacles along the way. As the night wore on, I laughed, danced, struck up conversations with strangers, and enjoyed getting to know people. I had fun. Beautiful underwater shots, but also enjoyed seeing the pictures of interesting land features, e.g. meditation mats (?) and swings (? ), and wonderful view of Mt. Agung. Thanks, Davi. I just thought of those mats as places to sit while having a drink and watching sunset but meditation mats makes them sound so much better! Hi! Great article. I am looking to do a lot of scuba diving this year to try to get my divemaster. 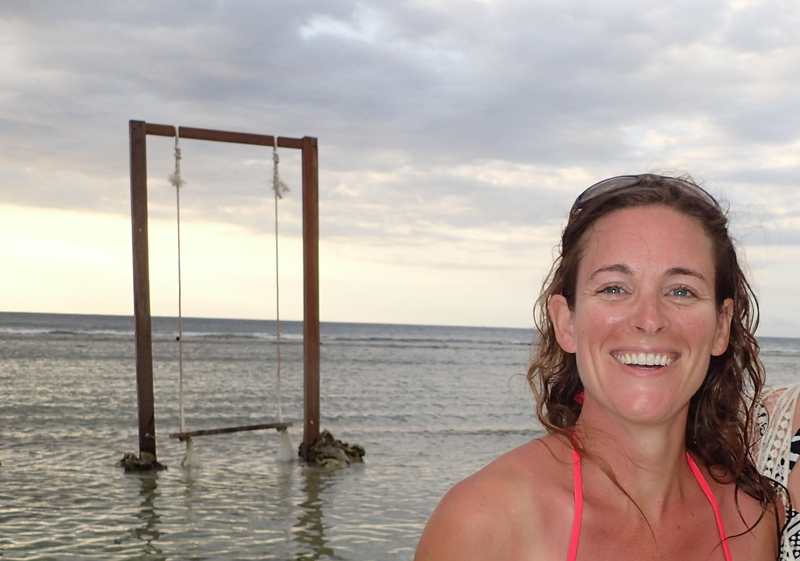 As you have been to both, would you recommend doing it in Utila or Gili T?? Hi Rob, it really depends on what you’re looking for, your budget, lifestyle, and the time of year you want to go. Utila was a great choice for me but it’s not for everyone. If you want to go on to IDC or want DM work, factor that in to your choice. 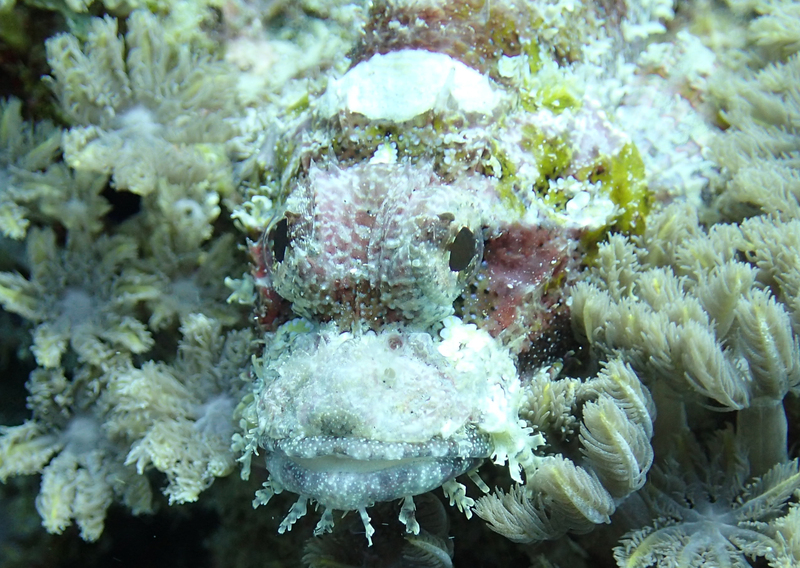 If you simply want to improve your diving, then pick a place you love with a shop you trust and dive as much as you can. Whatever you decide, enjoy the ride!